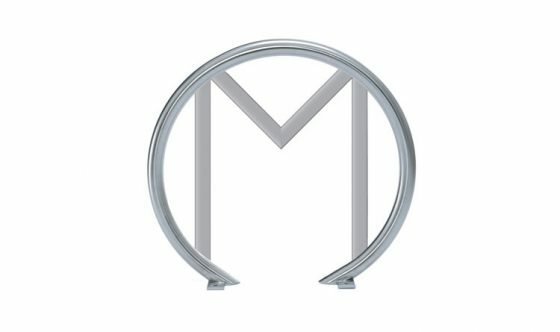 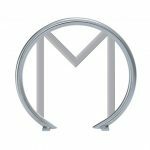 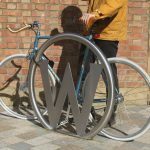 Customised O Rings are perfect for businesses and councils looking to promote their corporate brand or Identity. 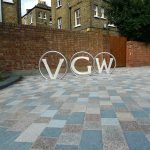 The stands can be specifically tailored to any requirement with letters, names or logos. 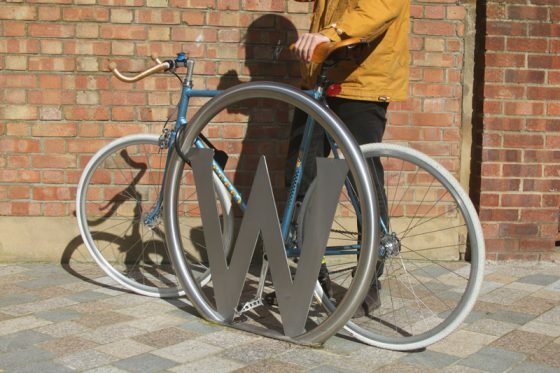 A sturdy, streamlined construction made from thick stainless or galvanised steel, these simple yet unique pieces of street furniture enable you to lock both wheels and frame of your bike for increased security against bicycle theft. 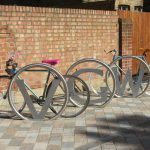 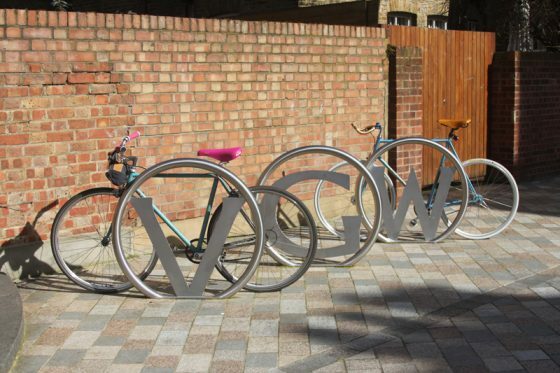 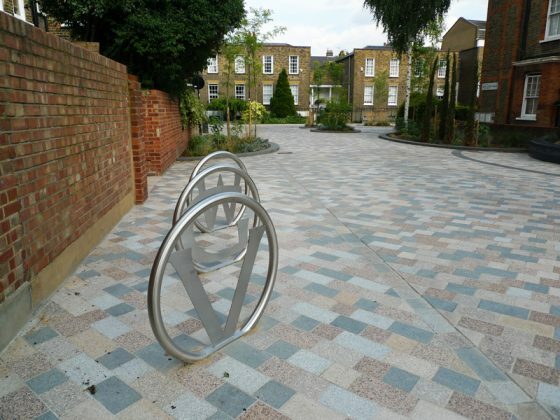 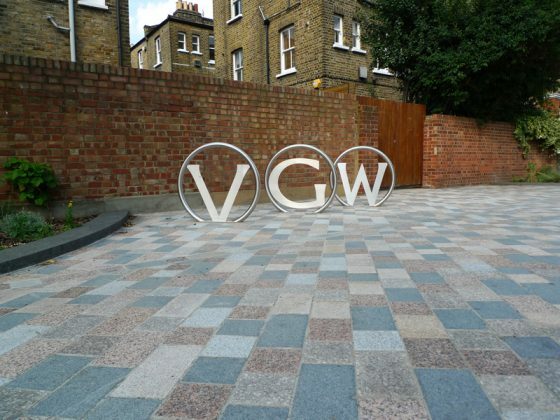 Cyclehoop design and build any customised cycle stands based on specific client briefs. 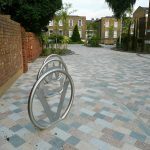 Examples include the Lambeth Rings (pictured) commissioned by and installed for Lambeth Council. 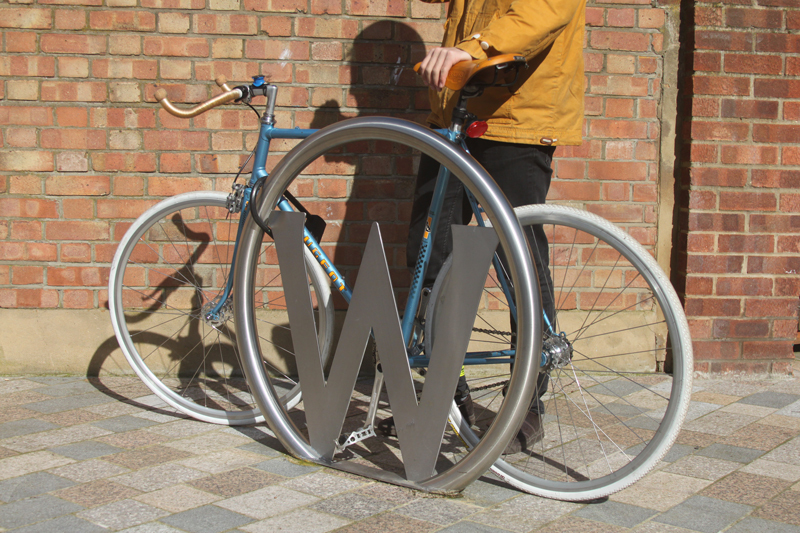 Lead time: Up to 6 weeks.